Home Posts tagged "Halls Fell"
Why not sign up for regular updates? 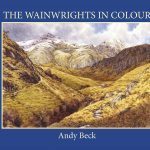 Buy your copy of The Wainwrights in Colour here. This website and its content is copyright of Andy Beck – © Andy Beck Images Ltd. 2000-2019. Registered in England No 10010296 All rights reserved. The sharing of material onto social media via the provided buttons is permitted. If you wish to obtain permission to use any of the images or photographs contained in this website in any other manner then please use the Contact Me form. More information in the Terms and Conditions section at the foot of this page.